Zippers can easily break and to make it worse, they can do so at the worst possible time. There are several reasons as to why a zipper might break. Sometimes it can be a stop in the zipper or a tooth missing from it, or perhaps it lacks lubrication. It is advisable to at least try to fix your broken zipper instead of throwing it away. How to fix a broken zipper if it is stuck? This is done when a zipper won’t budge at all. In order to do this, a lubricant should be applied to help it move along the lines. There is a material called graphite which is contained within the number 2 pencils that has a sort of natural grease. The graphite will help lubricate the tracks when rubbed or drawn upon the zipper’s teeth. After running the pencil along the zipper’s teeth, you can try wiggling the slider up or down in order for it to move more smoothly. If graphite fails to do the work, try this method. You need to find some cotton balls, laundry soap and wet detergent. First, dip a cotton ball in the laundry soap and then in the detergent. Coat the zipper teeth with the wet cotton ball, and try to unzip the zipper. Even though it can only move a little at first, try to move it up and down until it is unstuck. Zippers can get stressed due to the increased pressure put upon them when you have a container crammed with too many things. Too much pressure causes the teeth to fall apart or separate. So, it is advisable to carry fewer items in your bag by cleaning some stuff that you don’t use every day or moving them to another bag. How to fix a broken zipper if it is separated? 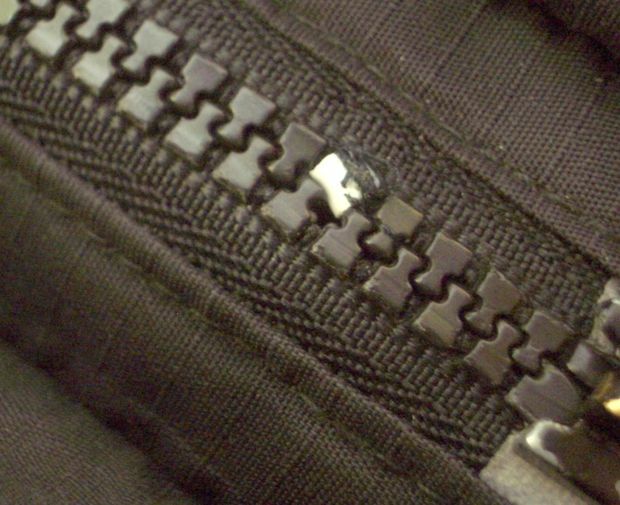 The teeth of the zipper can become hard to close due to substances that build around them. Use water and soap to clean these up and wipe everything with a small wet piece of cloth. A zipper can break due to a bent tooth. It is not too hard to straighten it if you have a pair of tweezers or pliers. Find the culprit and then pull it until it is straightened. Repeat as much as you need and avoid pulling it out completely. Then you can use the zipper as normal. A common problem you may experience is finding teeth missing or broken from the zipper lines. If the teeth popped off from the bottom or top of the zipper then it can be repaired, but if it is missing, then the best way is to replace it. How to fix a broken zipper if a tooth is missing or broken? These simple steps will help you in replacing or fixing your zipper tooth. Locate the zipper and move the slider all the way to the bottom. Insert the zipper at the bottom of the slider after angling it. It is advisable to use a screwdriver to push the edge of the zipper in if you find it is too thick. Pull the tab all the way up, and try to wiggle it a little bit in order to interlock the teeth. Try to cut the tack holding the layers inside the pants by freeing it with a pair of pincers. 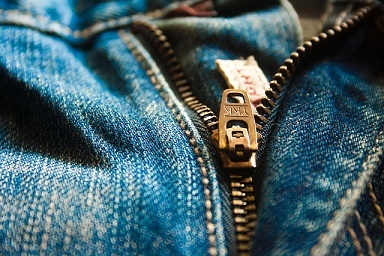 To close the bottom of the zipper, you should find a zipper bottom stop with some prongs. Locate the space between the teeth and the old zipper stop at the bottom and insert the prongs there. You need to be sure that the prongs are located correctly by flipping the garment over and locating it. Use a pair of pliers and a sewing machine or by hand to stitch everything together. Remove the tack from the inside of the pants with a pair of pliers. Go to the bottom of the zipper and pull out the topmost part. Join together each side of the slider in an upside down position to avoid reversing it. Put some tension on both sides and pull the slider up in a gentle way; do not pull too hard to avoid pulling everything off. Zip up everything and put a little pressure on the tab to lock it. Use a prong to close the bottom of the zipper and put a new zipper pull to replace the broken one. Put it over the edge, ideally on the very top. With a pair of pliers, clip it up very hard on both sides. Re-tack the inside of the pants by using a sewing machine.